St Mark’s offers Grades 0 to 7. Reading takes priority and can be enjoyed in the tranquility of the ‘Butterfly Garden’. Many sport and cultural activities are popular with the pupils. Including volleyball, soccer, cricket, netball and swimming as well as Kung Fu, Ballet and computers. On a musical note, the Junior and Senior grades now learn the marimbas and can participate in the school choir. Pupils also have the chance to learn the violin and recorder. Each Senior class has the opportunity to learn and demonstrate their learning with the latest technologies, including the iPad. 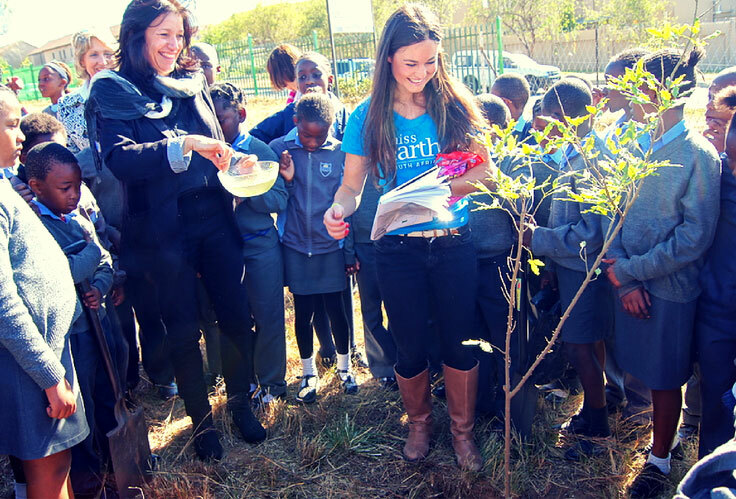 Miss Earth South Africa encourages Vuleka St Mark’s pupils to care for the environment by planting trees on Arbour Day.